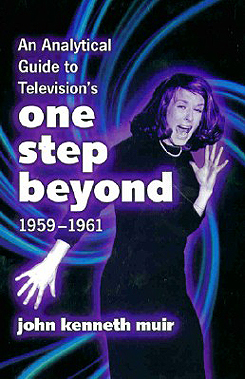 John Newland, the talent who directed (and narrated, on-screen), all 96 episodes of the 1959-1961 paranormal anthology, One Step Beyond, was interviewed on the afternoon of October 28, 1999, for this author's 2001 release from McFarland, An Analytical Guide to TV's One Step Beyond. Sadly this was the final interview (that I know of) with the great gentleman and artist. 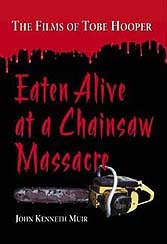 John Newland passed away on January 10 2000 at the age of 82, from a stroke. What appears below is a portion of that final interview, some of which has been incorporated throughout the text of my book, and some of which appeared in an article in FILMFAX PLUS, February/March 2004. John Newland came of age as a theatrical artist just as television developed into a national obsession. 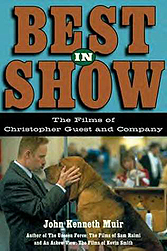 Perhaps the foremost leading man of the 1950s, Newland guest-starred on programs such as Playhouse 90 (1956-1961), The Loretta Young Show (1953-1961), Kraft Television Theatre (1947-1958), Climax (1954-1958), Suspense (1949-1964), Studio One (1948-1958), Robert Montgomery Presents (1950-1957), Tales of Tomorrow (1951-1953), Science Fiction Theater (1955-1957) and Inner Sanctum (1954). 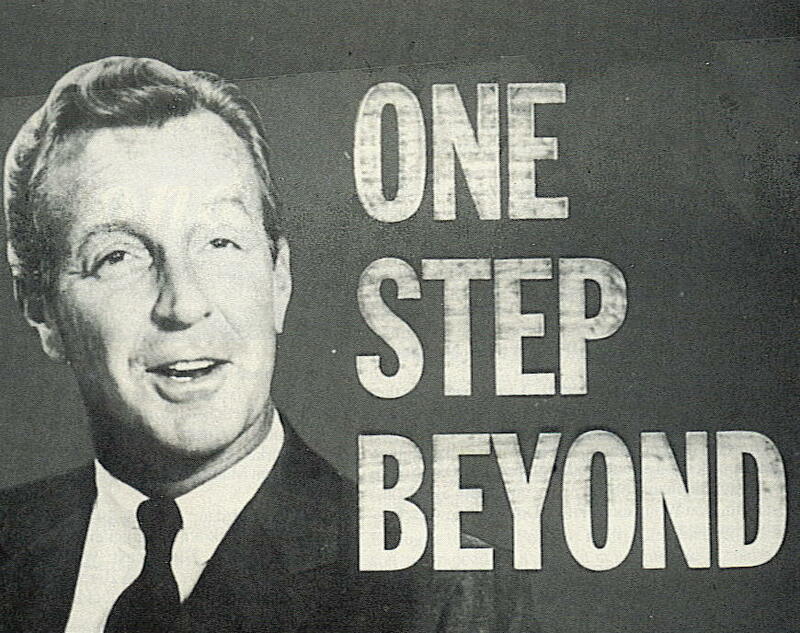 Though Newland is best remembered for his role as the host of One Step Beyond and its syndicated sequel, The Next Step Beyond (1978-79), he also had a long and distinguished career as a TV director, helming episodes of Police Woman (1974-1978), The Man From U.N.C.L.E. (1964-1968), Dr. Kildare (1961-1966), Star Trek (1966-1969), Rod Serling's Night Gallery (1970-1973), The Sixth Sense (1972) and Wonder Woman (1976-1978). 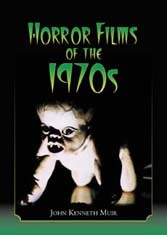 He also directed the memorable (and chilling...) TV movie starring Kim Darby, Don't Be Afraid of the Dark (1973). 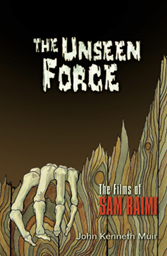 MUIR: One of the things that made One Step Beyond so unusual was that many of the episodes were based on reported accounts of the paranormal, "based on fact," as it were. "Night of April 14" concerned a psychic web surrounding the sinking of the Titanic. "The Day the World Wept" reported President Lincoln's precognitive dreams of his own assassination, and "Earthquake" and "Eye Witness" told of people who forecasted real life natural disasters, such as the quake of 1916, or the volcanic eruption at Krakotoa. NEWLAND: He would say: 'I need a two-shot here, John,' etcetera. And usually his recommendation was something that would have never entered my mind. Cutters are very helpful to directors, and I always listened to Henry and placed stock in his advice. MUIR: Suzanne Pleshette appeared in "Delusion," the premire of the second season. She played a duplicitous nasty girl, and the recipient of a blood-transfusion of a character played by Norman Lloyd. What was your impression of her? MUIR: "The Visitor" was a deeply moving episode about how marriages can change over the years...with a psychic twist, of course! It featured a very young Warren Beatty as a man in his twenties, and then as the same character - but in his fifties. What was he like to direct? MUIR: What was ABC's general respone to One Step Beyond? 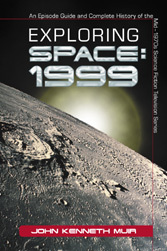 NEWLAND: That was our most popular episode. It was a spooky trip. We landed in a tiny airstrip in Mexico near a mission. From there, it was a donkey trip of four days to reach the village [Wahaca]. It was a dangerous journey, but we got phenomenal footage. 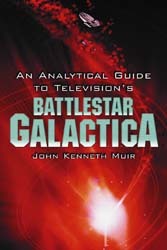 FOR MORE ABOUT ONE STEP BEYOND AND ITS DIRECTOR, JOHN NEWLAND, order John Muir's book, An Analytical Guide To TV's One Step Beyond. (c) 2001, John Kenneth Muir/2004, 2005, 2006 The Lulu Show, LLC. 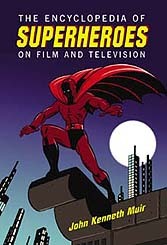 Above: John Newland directed several episodes of the superhero TV series, Wonder Woman. 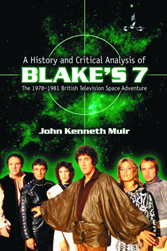 Just one of many TV programs and films that you will find extensively covered in John Kenneth Muir's 2004 release from McFarland, The Encyclopedia of Superheroes on Television. 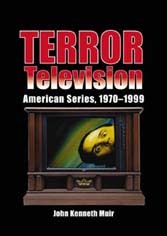 Above: John's Terror Television (A 2001 Booklist Editor's Choice) examines horror TV series that ran from 1970 - 1999, including the sequel series, Next Step Beyond. 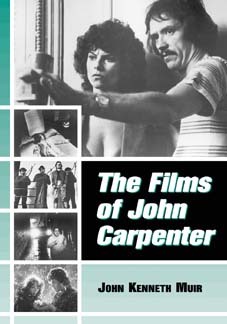 Also included are detailed chapters on Night Gallery, Kolchak the Night Stalker, The Evil Touch, Space:1999, Buffy the Vampire Slayer, The X-Files, Millennium and many more.